Are you an experienced WordPress user looking for an open source site builder app? 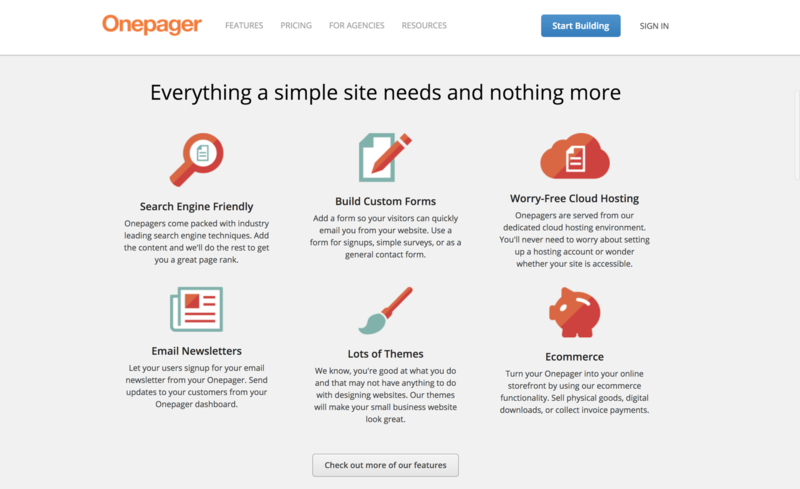 Read our review of Onepager to see if it’ll suit your needs. Are you looking for a site builder to create a new site for yourself or your business? You have a lot of options from which you can choose. These days, you can work with any one of a number of independent cloud-based apps that provide their own hosting solutions. 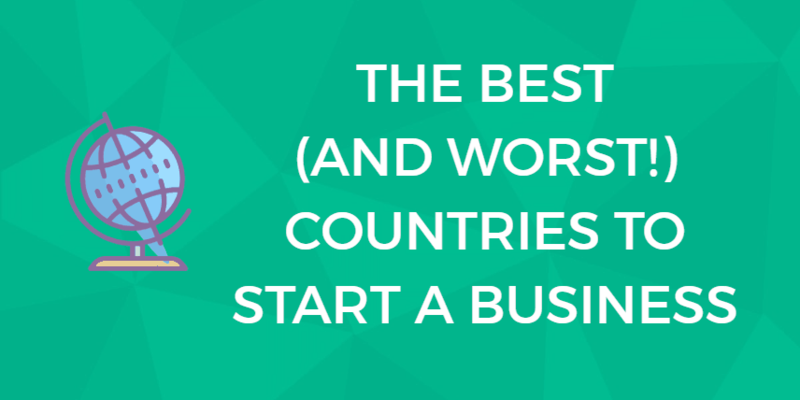 Companies like Doodlekit, WebStarts, and Cubender fall into this category. You signup, you use their tools to build your site, they give you space on their servers, and maybe you pay an ongoing fee (monthly or yearly) for more flexibility and features. Or you can use platform-specific site building apps and tools. WordPress, for example, can be used with a number of premium drag-and-drop frameworks. You pay for a license, install the theme (or less commonly a plugin) on your self-hosted WordPress-powered site, then proceed to build it out with its site-building tools. Onepager is different. 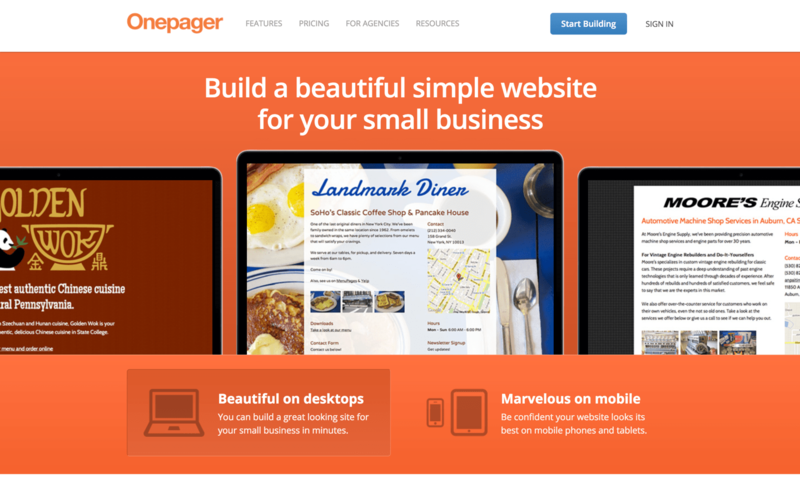 Onepager allows you to build a website in just a few clicks, using their easy-to-use dashboard. You add content and features as you see fit, and it walks you through each and every step. 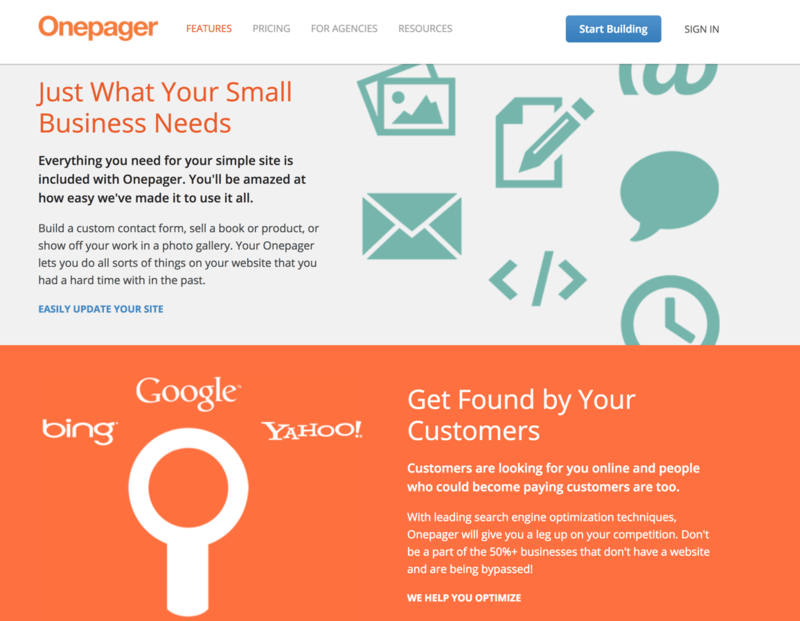 Is OnePager Site Builder Right for You? Let’s establish one thing right off the bat: There are a lot of products named OnePager (or OnePage) out there. And most of them have absolutely nothing to do with any of the others. They’re all different. There are WordPress themes. There are other WordPress plugins. There are landing page makers. There’s even a Gantt chart-making app for project managers. 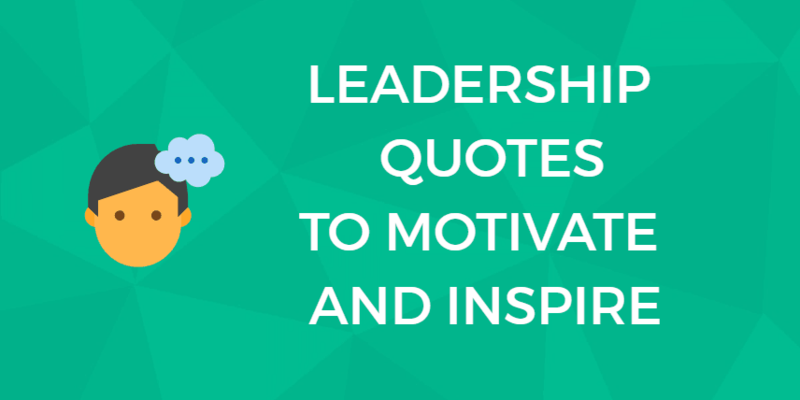 We’re not talking about any of them — though they may be valuable problem-solvers and awesome in their own rights. We’re talking about this Onepager, a full-fledged site builder. It was originally a plugin that helped you build a WordPress (or other CMS-based) site. Today, however, it works as a stand-alone builder and is chock-full of features you didn’t even know you wanted. Sitebuilder Onepager was founded by Eric Tarn, Yin Yin Chan, Matthew Moore, and Matt Shampine in August of 2011. Their goal was to make it simple for small businesses to get online. The website says all four came from families of small business owners and they decided to create an easy to use tool with just the right amount of features. Today, Onepager’s about page still lists Matthew Moore, Yin Yin Chan, and Eric tarn as the only team members. So far, at least, Onepager is an open-source plugin that anyone can download and install for free. That’s right — there’s no cost, no subscription plan to sign up for, no ongoing licensing fee as of the time of this writing. Now, that being said, ThemeXpert does have a number of premium themes and plugins that you can use together with Onepager. There’s also at least one popular theme, Agencia, available for WordPress that you can download for free. Agencia has a number of fans, judging from reviews and ratings on various sites. That being said, let’s look at ThemeXpert’s other premium offerings and how they work together with Onepager. WordPress users can select from among three-tiered plans, with increasing levels of benefits and costs. All plans include the ability to install themes on an unlimited number of domains (though support for those domains will vary widely among the three plans), as well as the right to remove the copyright notice from the site’s footer and one year of updates and support. With the entry-level WordPress plans, ideal for individuals and small businesses, you’ll get access to a single theme of the customer’s choice, but you can install that template on as many domains as you wish. However, because support is limited to one year for a single domain, these plans will be best suited for individuals and businesses with only a single website to manage. Customers at the Single plan level also receive the ability to remove the ThemeXpert copyright notice from the template footer and access to the support forums. While you can use the template on as many domains as you like, you’ll also only receive updates for your theme for one year. Business plan customers will enjoy access to all of ThemeXpert’s WordPress themes, not just one. They’ll also get support for up to three domains. This plan level is targeted to agencies and businesses that will need unlimited support for unlimited sites. Customers at this level will also receive access to all themes and will receive priority support in the forums. ThemeXpert also offers three-tiered plans for Joomla users, similar in structure and benefits to the WordPress plans but with slightly different price points. All three plans include the ability to remove the copyright notice from the footer, access to the support forums, and the company’s Quix-Pro Pagebuilder. 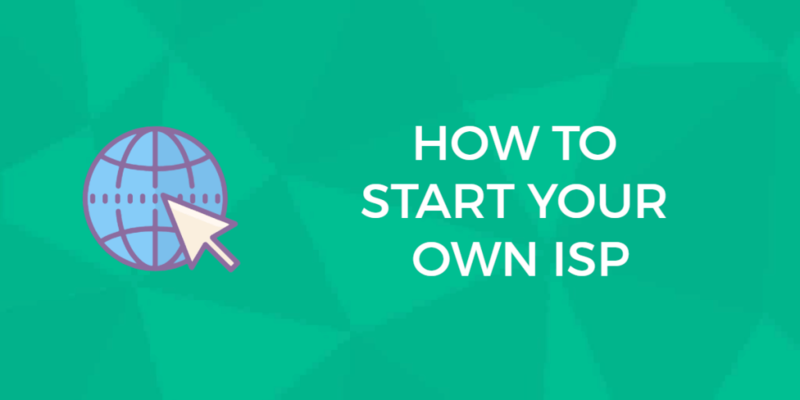 For single individuals and small businesses, the Starter plan will probably be sufficient. It offers a three-month membership, access to all Joomla templates, and support and upgrades for a year. However, while you can install any of the templates on as many domains as you like, you’ll only get support for one domain. The next level up from the Starter package is the Business plan, which is best suited for freelancers and companies that run or manage more than one domain. Like the Starter plan, you’ll receive access to all Joomla! templates, but your one year of support can be applied to up to three domains instead of just one. You’ll also get a year’s membership with the top-level plan, which is aimed at agencies and businesses with many clients and sites to manage and maintain. The primary added benefits at this level include priority support in the forums and technical support for an unlimited number of domains. OnePager is built on a framework of ReactJS, Pimple, and Bootstrap, which means it’s made specifically to work well with WordPress, Joomla, and other CMS platforms. It’s designed to create one-page designs, where your users just keep scrolling to view as much or as little information as you’d like to impart on that one page. Another word for a website with this kind of design is a parallax scrolling site. Parallax is a word that has different meanings, depending on context, but in computer science, it simply refers to objects that scroll by on a page at different perceived speeds. This has the effect of creating the illusion of depth. So what’s the advantage of a one-page design? Well, many experts point out that it puts the site publisher back in control. With traditional multi-page sites, the visitor gets to — and usually does — click all over the place. The user’s progress through your site is determined solely by the user, without regard to your carefully-designed strategies and plans for your site’s information architecture. But with a one-page design, you regain that control. You can implement your strategy, laying out your information in the order in which you’d like visitors to consume it. Even if you create other pages for your site that your visitors can click to and read, they’ll typically read the content on the parallax page first. Another key advantage of the one-page design is that it engages the visitor more intensely. They’re typically more visually dynamic and eye-catching than shorter, static pages, and often feature interesting visual effects such as sliding-in and animated images that capture the user’s imagination. One-page designs tend to display well on mobile browsers, assuming they’re well-coded since they only require scrolling and not endless clicking. They also make the most of a limited amount of text. Five pages with one paragraph on each can seem underwhelming, but structure those same paragraphs on a single page with dynamic images and suddenly it’s impressive. Regardless of what theme you’re using on your site, Onepager is supposed to provide a smooth experience. It’s not dependent on using a ThemeXpert theme, though there are a few of those you can use. No mention is made of Internet Explorer, and we’re not making any further comment on that. OnePager is uploaded and activated through your WordPress Dashboard, much the same as you would with any plugin. After downloading the plugin from the WordPress.org site, simply go to the “Plugin/Add New” menu. Click the “Upload Plugin” button, select the appropriate zip file, and click “Install Now” once it’s been uploaded. Then activate the plugin. One potential problem you might need to address is the version of PHP that your server is running. It should be at least 5.4, and if it’s not, Onepager will not activate in the first place. If your hosting provider hasn’t upgraded to 5.4 or more recent, you’ll need to contact them to request an upgrade. Once the plugin is activated on your site, simply add a new page. To activate Onepager tools on that page, click the purple button to enable them (you’ll find it below the title box). This triggers a split screen layout, where you can add blocks and elements, as well as input text and images, on the left. Those additions and changes will then display in the preview panel on the right. The pre-built content blocks are basically digital bricks you use to build your page. Onepager offers a number of different kinds of blocks, including images, text, testimonials, and more. The plugin also provides a “Styles” submenu in the lefthand sidebar menu. Here, you can change colors, upload and configure background images, and make other changes to the appearance of the page and block in question. All told, it’s a relatively straightforward design experience that offers an impressive amount of flexibility for an open-source plugin. The developer states that Onepager is compatible with the popular WooCommerce plugin. Beyond that, it’s not really an e-commerce solution, but it could be used in conjunction with an e-commerce site. However, give some serious thought to site layout and your business’s “buyer’s journey” before you integrate Onepager into an e-commerce site model. Ensure that you lead your prospects carefully from one point to another along that journey — hopefully ending at a successful sale. As most online consumers have developed expectations that individual products get individual pages of their own, you might be working against type if you want to use a one-page design for products themselves. A better option would be to use the one-page approach to convey critical information to purchasers in the preliminary stages first, then direct them to the appropriate product page to evaluate the options and complete the purchase. There is documentation that’s accessible for OnePager. Unfortunately, it appears to have been written by someone for whom English was a second language and is somewhat difficult to understand. Being a developer or user, stepping for site design without having prior experience is challenging. Even fussing steps would consume valuable time a lot. But Onepager won’t. This is such an easy problem to fix that it’s puzzling why it was allowed to be made public in this condition in the first place. Even the most thorough documentation is useless if it can’t be understood by the users who need help. There is also a fairly active user support group on Gitter.com as well as a support forum for all ThemeXpert products on its main website. However, a quick forum search reveals that most questions about OnePager on the form are about premium themes used in conjunction with the open-source Onepager. And as always, you can post in the official WordPress forums, since (right now) it’s a WordPress plugin. If you’re using only the open-source Onepager plugin, there’s no billing whatsoever at the present time. It’s free to use on its own. Likewise, if you decide to stop using Onepager, there are no obstacles or hoops you need to jump through to cancel. Simply deactivate the plugin and delete its files. If you’re a WordPress user with some amount of experience and a certain level of comfort with its tools and backend, OnePager might be a great solution for you. You won’t find a lot in the way of ready-made documentation that’s useful. And if you need a lot of hand-holding, using Onepager might be a frustrating experience for you. But there’s always the Repository forum, the Gitter page, and if you’re a paying customer of ThemeXpert’s tiered premium plans, you’ll find plenty of alternatives to make up for the disappointing written documentation problems. Bottom line: for an open-source plugin that allows you serious flexibility in building your site with a trendy parallax design, that’s a tradeoff that many WordPress users might be more than happy to make. And, of course, if you’re a committed Joomla user, just hang on — apparently they’re working on it! You are here: Home > Website Builders: All The Top Builder Brands Ruthlessly Reviewed > Onepager Review: Is This Free Site Builder Worth the Hype? Previous: Pixpa Review: A Site Builder for Creatives, But Does it Pass Our Reviewer’s Test? Next: One.com Review: We Tried Out This Web Host’s Sitebuilder. Surprising Results.